The Youth Softec Sport Hockey Skates from Jackson Ultima are a hybrid version of the classic hockey skates you grew up with. Modern look adding a stylish touch and offering reduced weight due to lightweight construction while the Thinsulate® lined upper and tongue keep your toasty warm. Welcome to comfort. The Softec Skate Program is engineered for comfort, warmth and durability. But it doesn&apos;t stop there. These skates not only feel incredible, they look incredible. 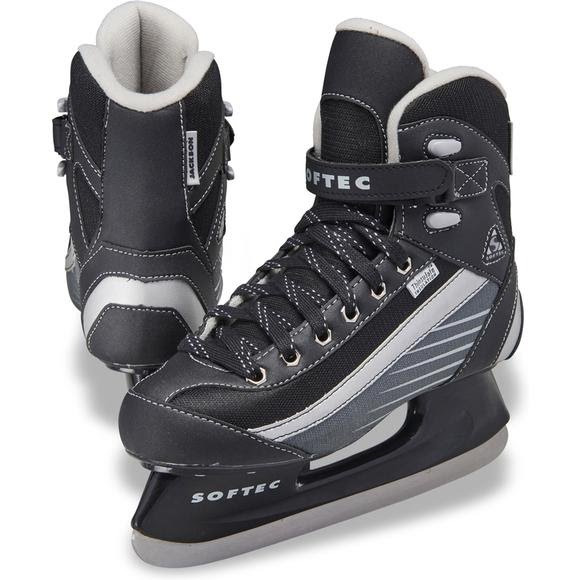 Softec, the industry leader in sport and figure style recreational skates for men, women and children.